The structure view correctly shows that I have defined a class but treats method1 and method2 as properties (with a 'P') and method3 correctly as method (with a 'M'). Shouldn't the first 2 also be detected as methods? 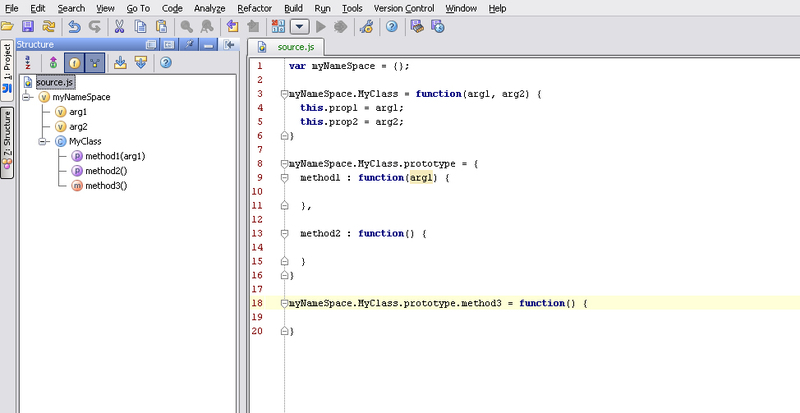 Here the class is displayed as a method with 2 properties. Why isn't it still a class? 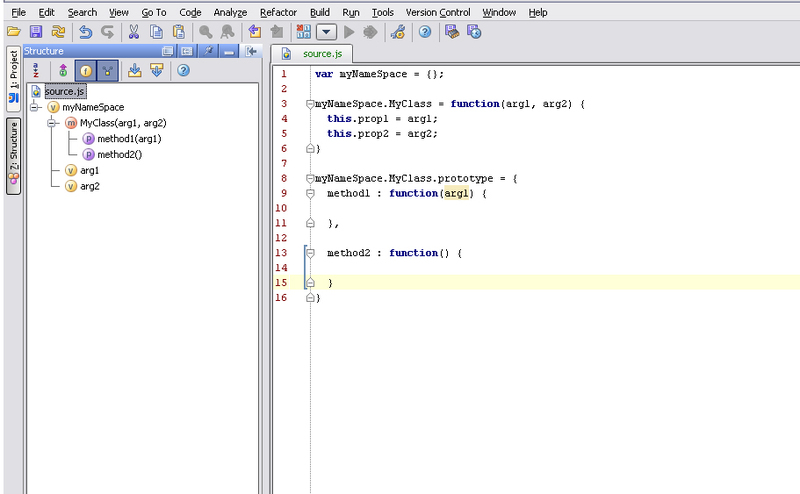 Also in both cases, the structure contains as variables (with a 'V') the arguments of the constructor. Shouldn't these instead just be shown as function arguments? I am using 7.0.2 EAP (build 7531) on Windows. / inheritance / etc dependending on class patterns used.